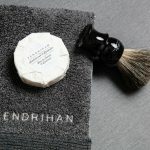 You’ve decided to make the switch to wet shaving and have all your new and handsome supplies laid out on the bathroom counter. You’ve done your research and have thoroughly prepared your skin with a pre-shave product. 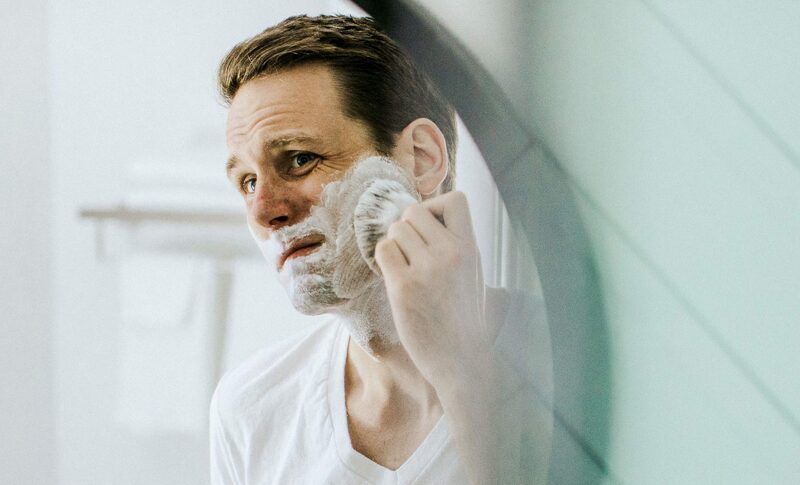 You’re ready for your first shave but have hit a roadblock at the lathering stage. You can’t seem to get it to the right consistency and are frustrated that something so simple is causing such displeasure. So what’s the secret to building a rich, thick and creamy lather? 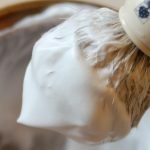 You may not realize it, but there is much more to applying lather than just using a wet brush and a shaving soap or cream. While there is not one simple answer, we have a few tips that will help you on your quest to later perfection. Step 1: Invest in a quality shave cream or soap. 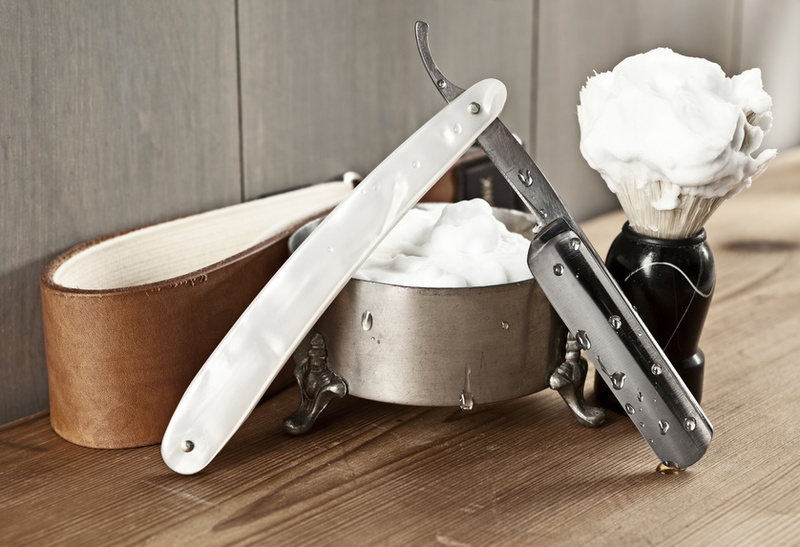 Shaving with whatever soap or cream you have lying around on your counter will reduce the quality of your shave. A great shave starts with a quality cream or soap. Look for those that lather easily and that contain lanolin, such as Mitchell’s or Tabac, to moisturize and soften your skin during the shave. 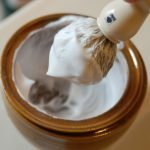 Don’t use shaving creams or shaving gel from cans because they provides an inferior shave compared to shaving soaps or traditional shaving creams. When using a brush, gently dip it in warm water until it is thoroughly wet. Carefully shake off any excess water from the brush until it is no longer dripping. Shake boar brushes to eliminate water. Take your brush and swirl it on your soap or in your bowl. 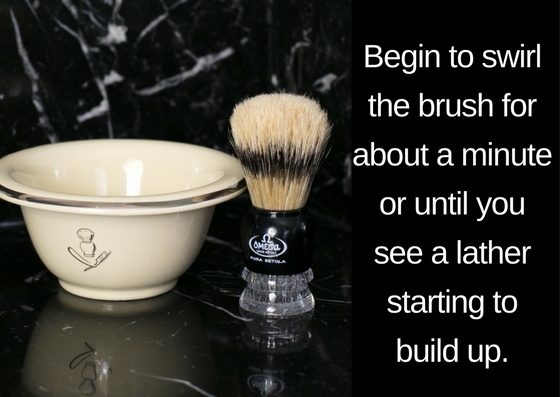 Begin to swirl the brush for about a minute or until you see a lather starting to build up. Initially it may look bubbly, keep swirling until the lather thickens. Thicker lather results in a better shave so don’t try to dilute it. If you’re using a soap that is very dry, add a bit of water to soften it up. Don’t add too much water or you’ll end with a runny lather. When lathering, remember that quality always trumps quantity. After creating that rich and luxurious lather, gently apply it to your face, or the areas you wish to shave, with even light strokes. Shaving soap generally produces a better shave than a brushless cream. When given the option, using a shaving mug is always preferred. When using a brushless cream, apply the cream directly to your face without using a brush. Step 5: Enjoy your shave! With a thick and rich lather, you’ll immediately notice a difference in the quality of your shave and your skin post-shave.